Most sports injuries are the result of a hit, a fall or another type of trauma. Work-related injuries often occur after long-time repetition of certain motions. These injuries tend to be chronic, and require a different approach. Some 80% of adults in the United States report that they’ve had low back pain, which is the leading cause of job-related disability and missed work days. 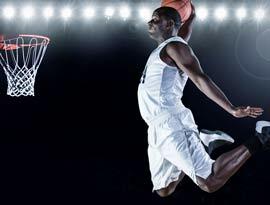 In addition, spinal injuries, especially to the neck, are common in sports. 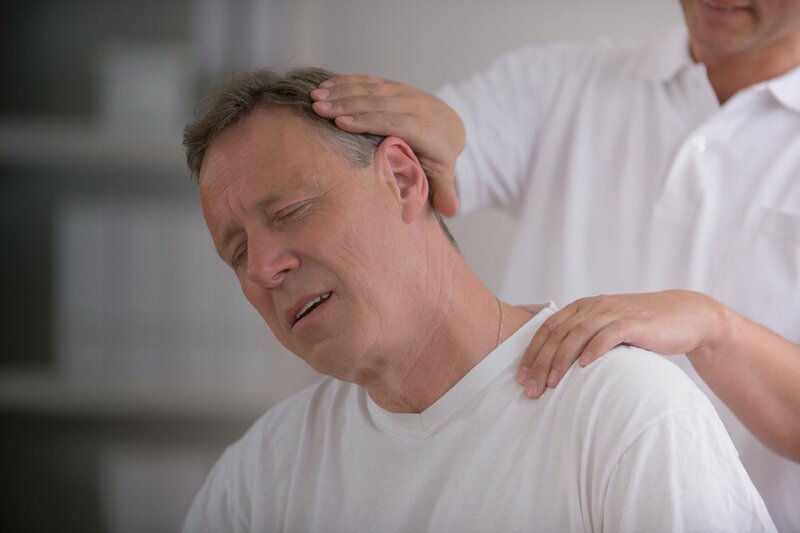 While it is small comfort to those suffering through a current episode, back and neck pain are some of the oldest and most common ailments known to humankind. The spine is a sophisticated and complex group of structures, with stacks of bony vertebrae cushioned by discs, a spinal canal, and muscles, ligaments and nerves that support the body and control the extremities. The wonder is that it performs so faithfully. However, with age or stress, this marvelous machine is apt to break down. Skeletal or bony irregularities such as scoliosis. More rarely, back pain may be caused by a serious underlying disease such as cancer, infection, kidney stones, or osteoporosis. For this reason, diagnosis is key. At our clinic, we start by performing a thorough physical exam and ordering x-rays, CT scan or other imaging tests. We also ask the patient about his or her medical and family history, and lifestyle (participation in sports, job description, etc.). After we have a diagnosis, we can design a treatment plan. Many of our recommendations revolve around the type and extent of injury. For instance, a sports-related injury may be due to trauma. An unexpected tackle on the football field or an awkward fall in gymnastics can result in muscle sprain or damage to the vertebrae or discs (the gel-like cushioning in between the bony vertebrae). Displaced tissue may put pressure on a nerve, which makes itself felt as pain and restricted mobility. Treatment depends on the nature and severity of the injury. 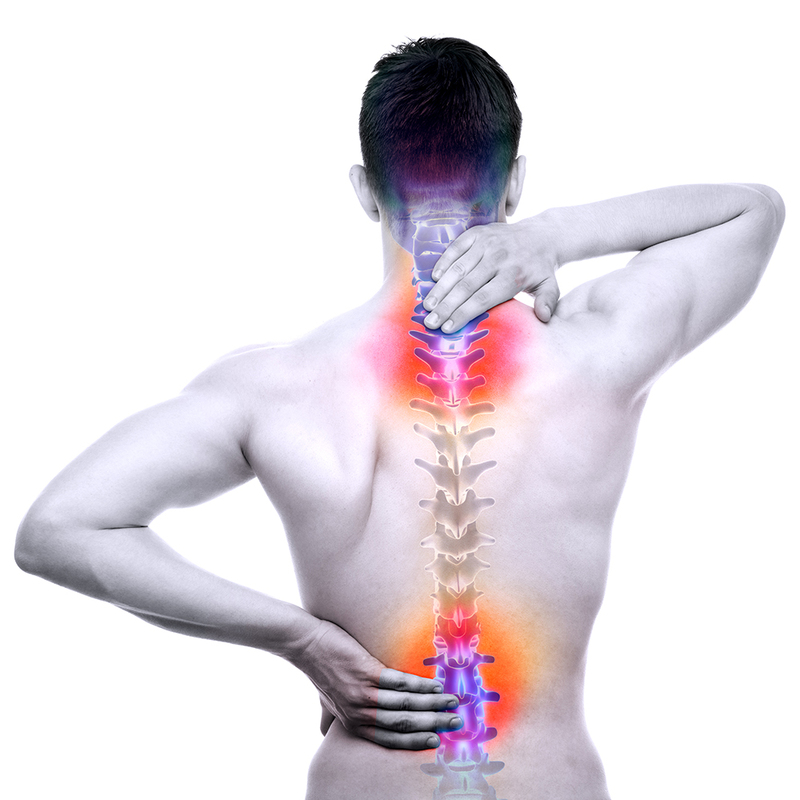 The recovery period for a spinal injury can vary widely, from days to months. Falls and accidents are common in the workplace, and may cause an acute, traumatic injury. However, if a worker is performing the same motion over and over again— say, reaching for a lever or placing packages on a high shelf— the injury is more likely to be caused by repetitive motion. Work-related injuries are often of this nature, the effect of long-term stress on a particular joint or set of muscles. This type of injury dictates a different treatment plan than the one required for most traumatic injuries.